Apple and a solid jobs report lifted stocks on Friday. The Dow gained 332 points, and all but one of the 30 companies in the index finished higher. The Nasdaq climbed 1.7%, and the S&P 500 moved ahead 1.3%. Stocks finished mixed for the week. Apple rose 4% to an all-time high after Warren Buffett revealed that Berkshire Hathaway (BRKA) bought about 75 million shares during the first three months of 2018. The stock had its best week since 2011. Apple rewarded investors this week with plans to buy back $100 million worth of stock. That's on top of the company's record $22.5 billion worth of buybacks during the first quarter. Those announcements overshadowed slower iPhone sales. The market climbed most of the day after the jobs report, which showed that wages grew 2.6% from a year earlier — not fast enough to trigger worries about inflation. In February, the market plunged when wages rose faster than expected. The economy added 164,000 jobs in April, lower than expectations. 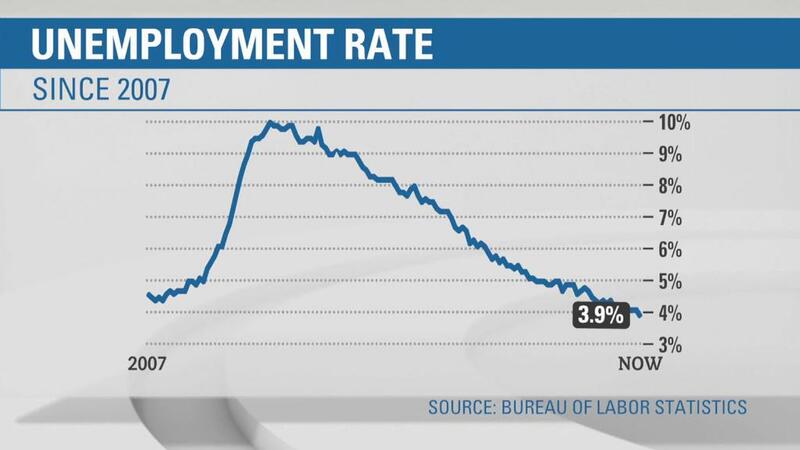 Unemployment fell below 4% for the first time since 2000. The report fell right in the "Goldilocks" zone — an economy that is neither too hot or too cold, Russell Price, senior economist at Ameriprise Financial, said in an email. Counting Labor Department revisions for February and March, the United States has added an average of 208,000 jobs a month over the past three months. The wage number also leaves investors slightly more optimistic that the Federal Reserve will take a dovish approach to raising interest rates. The Fed is on high alert for inflation signals, and Wall Street is debating whether it will hike rates two or three more times in 2018. "The economy's odds of overheating seem to be diminishing," Price said. —CNNMoney's Matt Egan contributed to this report.